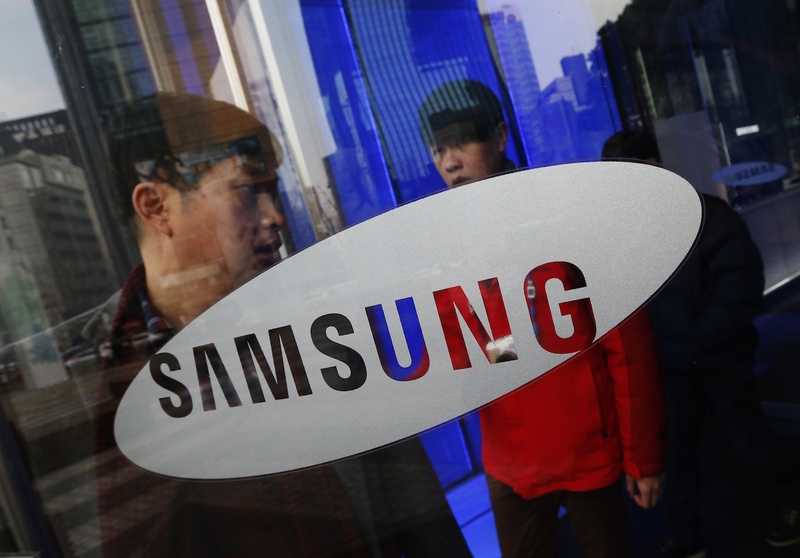 A watchdog group has uncovered numerous labor violations at a Samsung supplier in southern China—including underage workers. The CLW report echoes a 2012 investigation by the group showing similar use of child labor. But it also follows a glowing annual report from Samsung about the progress of its social responsibility programs. According to that report, multiple factory audits on 100 Chinese supplier plants—conducted by an outside auditor commissioned by Samsung—found “no instances of child labor.” The report did, however, note that other labor problems were widespread, including overtime violations and chemical safety hazards. Nonetheless, Samsung accentuated the positive, focusing on its programs to monitor and improve labor standards in supplier factories. they noticed that other workers had metal tweezers, which were more effective. A supervisor told the child workers the location of a store where they could buy these metal tweezers. This… required them to take a bus to reach it. Feeling helpless, they made the trip to buy the tweezers on the next day. The report describes a grimly disciplined factory floor: Workers were subjected to penalties for various misbehaviors, like repeated lateness, or just showing a “bad attitude.” There was a preference for hiring women over men. Workers were ill-prepared for occupational hazards, CLW says. The production process involves routine “contact with harmful chemicals such as ethyl alcohol, industrial alcohol, and thinners,” but workers do not all receive protective gear, like gloves and masks; they must specially request it. The steady stream of export orders allowed workers to accumulate about 120 hours of overtime in a month, more than triple the legal limit of thirty-six hours, CLW reports. Factory workers often rely heavily on overtime to scrape by, because of low base wages. Although monthly base wages at Shinyang were close to the local minimum wage, workers could more than double their pay through overtime and other subsidies and bonuses. And temp workers, who were denied overtime pay, made only about two-thirds that amount. Additionally, the company allegedly undercut workers’ long-term economic security by failing to make mandatory social insurance contributions for temp workers, and by underpaying insurance for regular workers. The researchers noted that workers’ housing consisted of spartan, stuffy dormitories with as many as ten to a room. Cheap, plain meals were served from the factory canteen, segregated from the special dining area for Korean staff. Meanwhile, outside the drab factory grounds lies the southern boomtown Dongguan, replete with flashy storefronts and high rises—marking the sharp inequalities that drive the massive exploitation of the vast workforce of migrants from outlying regions. The combination of poverty wages and the soaring cost of living in cities feeds into an increasingly volatile labor climate—and seems to be driving a recent surge in strikes and protests. China’s recent efforts to strengthen social insurance for workers has sparked labor strife as well, as violations of the employer mandates are widespread. Earlier this year, a dispute over social insurance contributions at the multinational Yue Yuen shoe factory triggered a historic strike involving tens of thousands of workers. Of all the harsh aspects of Shinyang’s labor system, perhaps the most degrading was their lack of control over their working conditions. New hires were reportedly given blank contracts to sign, and receive their final contratcts with the employment terms inked in “only a month after being employed”—effectively leaving them with no control over their working conditions for weeks. Child labor, unpaid overtime or wholly unpaid wages and benefits, over a hundred hours of overtime a month, poor living conditions, unsafe workplaces, and other common labor violations in the electronics industry are heavily influenced by the view of buyers—often international brand companies like Samsung, Apple, HP, Dell, Sony, etc.—that the manufacturing link in their business model must be constantly costed down. Electronic manufacturing companies operate on slim margins, and they continue to operate by suppressing labor costs. The situation at Shinyang elucidates how the market for consumer electronics in the Global North is dependant on grueling labor conditions in faraway factories. With exploitation baked into China’s warp-speed assembly lines, the CLW report suggests it will take more than glossy annual reports to correct these systemic abuses.